Perhaps controversially for the DPM community, I’m going to say, yes! Maybe that’s because we recently launched our very own online project management training course, but check out the article below to get the lowdown on all your options. Want to know why? Interested in different project manager certification options? We have put together this handy guide to help you decide which certification best suits you, complete with the prerequisites and each project manager certification cost. 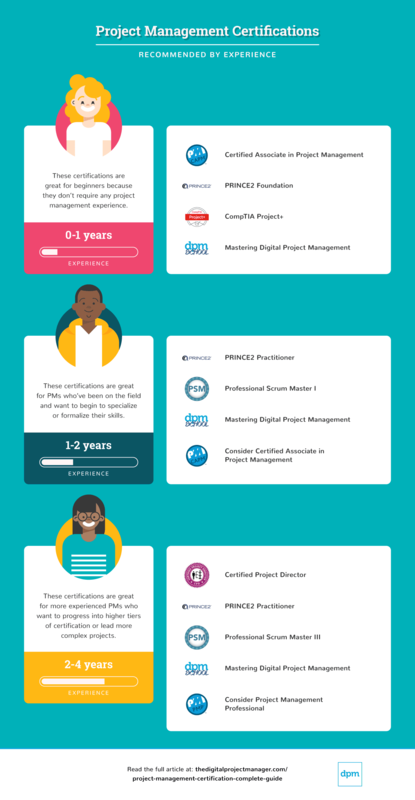 What Are The Different Types Of Project Management Certifications? What’s the Best Project Management Certification? Like any certification or learning, a project management certification doesn’t mean you’re a good PM. What’s more, what you learn to gain the certification might not be directly applicable to the day to day job. And in some cases, it might actually be unhelpful – giving a false confidence in the way things should be done. That’s typically why lots of digital project managers don’t have a lot of love for project certification. There’s some truth in it; if you were taught you have to project manage in a particular way, and that way in no way resembles the way projects are run in an agency, then isn’t it just a waste of time? So what’s the point? You’re sure to learn a lot that you can apply to your job, and it doesn’t look bad on your resume either—at the very least it shows that you’re investing in your professional development. Certainly, if you’re ever thinking of pursuing a project management role at a grown-up company (i.e., not an agency) they tend to take project management certification pretty seriously. Research shows that IT jobs increasingly require project management certification, and more and more CIOs believe in the importance of such certifications. Another benefit of having a PM certification is a higher salary (to see how your salary stacks up against PMs around the world, see our project management Salary Guide). The PMI’s Project Management Job Growth and Talent Gap Report found that project managers with PMP certification had 23% higher median salaries than their non-certified peers (What does PMP certification stand for? It stands for Project Management Professional certification, and you can read more about it here). So why do people care about project management certification? Yes, it’s just a bit of paper but without an ability to share the documentation we produce (non-disclosure and all that), it’s the closest thing we have to evidence that we know-how to plan, schedule, budget, execute, deliver and report on projects. Even if a certification does not necessarily make a person a better project manager, there is no denying the fact that the time invested in learning and improving project management knowledge is better than none at all. We’re going to cover the details you need to know for some of the best programs currently available and explain how to get project management certification in each case. We summarize these programs in the table below, and you can read a more detailed description of each certification in the following sections. Obviously, any form of project management certification is always a good idea and will benefit your career. But first consider the cost, the effort and the time involved in taking project management certification courses, it is important that it is actually relevant to you, right now. For instance, if you simply want to learn more about managing projects at your agency, consider other forms of learning – reading blog posts, going to Project Management Meetups, attending conferences, or simply taking your project management colleagues out for coffee. All project management certifications, from PRINCE2 to PMP, are designed to give you a great grounding in the strategies and skills needed for project management success. The differences between courses are as much to do with methodology than basic skills, so whatever you choose it is unlikely you will be restricting your choice of employment in the future, as long as you stick with the bigger names—any one of the best project management certificate programs we’ve outlined below is a step in the right direction. 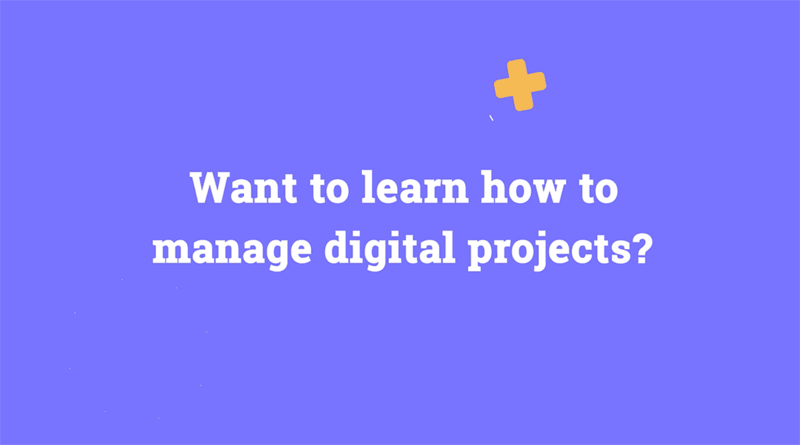 There are several online options available, including our very own Digital Project Manager School, which offers an online digital project management course that provides project management training to those who lead teams and deliver projects in a digital world. Taught by expert project managers, the course tailors an agile approach to digital projects, equipping participants to handle evolving requirements, manage communications and assess progress. This is one of the best certifications for project managers who are looking beyond quick certifications that pay well—who want practical, hands-on training that prepares you to run projects in the real world. With a flexible, year-round schedule, our Project Management certification online course is designed for a wide array of persons tasked with project management responsibilities – from newbies to professional project managers. It covers everything from how to successfully plan, run and control digital projects, to how to avoid costly pitfalls, and setting criteria for success that positively impact the bottom line. The Digital Project Management School certificate costs from $950 (we also offer an option without the certificate and assignments for $750). Attend an online course, over 7 weeks. The Project Management Professional certification (PMP) is arguably the most respected international certification in project management, with more than 750,000 PMP project managers currently certified. The PMP is an all-encompassing test of the Project Management Institute’s(PMI) Project Management Book Of Knowledge (PMBOK) and ability in the management of the three project constraints; time, cost and scope. The certification is aimed at imparting comprehensive knowledge on how to adequately handle the project process from planning, scheduling, controlling, and monitoring to closing out the project. Of all the project management certifications we’ve looked at, It’s certainly the hardest certifications to get – the prerequisite experience is laudable (but extensive), the application process is onerous, and the training and exam isn’t a cakewalk either. Pass the PMP exam – the certification exam has 200 multiple-choice questions, and you have four hours to complete it. $405-$555 for the exam. Members pay $405, Non-members pay $555 (the paper-based exam is $250-$400). If you haven’t been a project manager for long enough to apply for your PMP, it’s worth considering the PMI’s stepping stone project management certification – the CAPM (Certified Associate in Project Management). The CAPM is the PMI’s entry level project management certification – less than a year’s experience, or just 23 hours of training are needed – intended to demonstrate candidates’ understanding of the fundamental knowledge, terminology and processes of effective project management. Pass the CAPM exam – the certification exam has 150 multiple-choice questions, and you have three hours to complete it. The CompTIA Project+ certification is an entry level certification set at virtually the same level as the CAPM certification, although arguably, it’s not as tough, with a shorter exam! That makes this a good project management certification for beginners. Unlike the CAPM certification, which has to be regularly renewed, an advantage of the CompTIA Project+ certification is that it is considered good for life and does not need to be renewed. One year of project management experience is recommended. Pass the CompTIA Project+ exam – the certification exam has 95 multiple-choice questions, and you have 90 minutes to complete it. $319 for the exam (can be taken at a Pearson VUE test centres in North America). Projects in Controlled Environments (PRINCE2) is a project management method originally from the UK that guides you through the essentials for managing successful projects. PRINCE2 can be tailored to meet your specific requirements and they even offer an agile variant with PRINCE2 Agile. The course focuses on project direction, management and delivery across the pre-project, initiation, delivery and final delivery phases of a project. The PRINCE2 Foundation certification is the entry-level version that tests basic knowledge of the field, while the PRINCE2 Practitioner tests the more advanced knowledge of managers who already have the foundation certification. Typically you can take a course covering foundation and practitioner in a week. The great thing about PRINCE2 is that unlike the PMP it has no prerequisites for experience so theoretically, you can take the course and get qualified in a week! PRINCE2 Practitioner requires a PRINCE2 Foundation, PMP, CAPM or an IPMA certification (typically lasts three days). The PRINCE2 Practitioner certificate is valid for three years, at the end of which you can either re-sit the Practitioner exam or you can maintain your certificate through membership. The Global Association for Quality Management (GAQM)– which is the administrator of the Associate in Project Management certification – has other courses which (including the APM) are all focused on emphasizing effective resource allocation and communication, adaptability, and low-risk assurance of deliverables. The APM is an entry-level certification for those looking to start a career in project management. If you’re looking for an online project management qualification, and something easy, but that’ll look good on your CV, choose this! Study the GAQM body of knowledge and pass the e-course. The Certified Project Director course is the highest-level certification offered by the Global Association for Quality Management (GAQM). It is meant for experienced project managers who are working on multiple or complex projects. The course content is set on helping project executives acquire the requisite skills in managing complex projects and programs by focusing on risk management, scope management, quality management and budgeting. This is a great qualification for more advanced project managers who are managing larger project teams and a portfolio of projects. Study GAQM body of knowledge and take e-course. Hold a Bachelor’s university degree, or Post-graduate / Master’s university degree or above, or globally equivalent. The Certified Project Director (CPD)™ Certificate is for five years, the candidate needs to either retake the exam or can complete the E-Course for CPD to accrue the number of continuing education units (CEUs) to renew the Certificate. The Certified ScrumMaster has become the de facto agile project management certification – even though interestingly, the methodology doesn’t actually include a role for a project manager! The CSM course from The Scrum Alliance is a certification that helps project managers and IT professionals earn the ability to manage projects in environments using agile methodologies. The Certified ScrumMaster is almost criminally easy to get, but if nothing else, is a good introduction to agile, and it’s one of the most widely known software project management certifications. Attend a two-day training course. Pass a 1-hour online exam, with 35 multiple choice questions, 68% is required to pass. Even if you fail, you can retake the text an extra two times for free. Free attempt at the exam by taking the training session and registering with the Scrum Alliance. Each additional attempt costs $25. If you’re looking for agile training with a bit more substance, you should consider the Professional Scrum Master qualification from Scrum.org, created by Ken Schwaber, one of the founders of the Agile Alliance. The Professional Scrum Master tries to set itself apart from the Certified ScrumMaster as being more robust and it’s certainly more challenging with three tiers of progression PSM I, II and III. It’s a lot more rigorous than the CSM course, requiring a student demonstrate their knowledge and understanding of concepts and a trickier exam which at the higher levels includes essay questions. The PSM I, II & III assessments and corresponding certifications do not require attendance in a Scrum.org class – you can just go ahead and challenge the exam – they do offer optional courses to help you prepare and a free, downloadable Scrum guide. Pass a 1-hour online exam with 80 questions – 85% is required to pass. Unlike the Certified Scrum Master, you get to keep the qualification for life. As a project manager, acquiring any of the top certifications highlighted gives you the ability to take your career forward; at the very least, it gives you an advantage over those who do not have any certification. In our opinion, the advantages of helping you land a great job or getting quality career advancement in your current one, as well as the distinction from non-certified professionals in the field are well worth the efforts of getting certified. Simply ensure that you choose the one that suits you best and aligns with your goals, current role, strengths and skills. International Association of Project Managers (IAPM): the IAPM offers certificates for the titles Junior Project Manager, Project Manager, Senior Project Manager, Junior Agile Project Manager, Agile Project Manager, Senior Agile Project Manager, Project Management Trainer, and International Project Manager. Global Association for Quality Management (GAQM): the GAQM offers a variety of management certifications, including Business Process Manager, Certified Scrum Master, Scrum Product Owner, Associate in Project Management, Professional in Project Management, Certified Project Director, and several others. Do you need a certificate so that you can prove you’ve got some training (go for CAPM) or do you actually need to learn beyond the theory, some practical application of how to do your job as a project manager (go for PRINCE2 Practitioner, PMP or Mastering Digital Project Management). Consider Certified Associate in Project Management (CAPM), CompTIA Project+, PRINCE2 Foundation and Mastering Digital Project Management. Take a look at our guide on how to become a project manager for more tips as you start out. Consider Certified Associate in Project Management (CAPM), PRINCE2 Practitioner, Professional Scrum Master I and Mastering Digital Project Management. Consider Project Management Professional (PMP), PRINCE2 Practitioner, Certified Project Director (CPD), Professional Scrum Master III and Mastering Digital Project Management. Many of the project management certifications can be attained simply by attending a 2 day or week-long course. Others, like the PMP or Mastering Digital Project Management, can be incredibly time intensive but are arguably more useful as they cover more content. Quicker alternatives if you’re short on time are PRINCE2, CAPM. Taking a cheap project management course is probably a false economy, so watch out for online project management courses that offer you a certification simply for submitting your LinkedIn profile link or resume and $300. They’re a complete waste of time and your money! Obviously, the more junior project management certifications are often cheaper, than the most expensive like the PMP, but typically, you’ll need to spend at least $1000 on the project management training and exam for most project management certifications. Remember too – it’s worth considering the project management certifications that don’t expire or that you don’t have to pay to renew every few years such as CompTIA Project+, Professional Scrum Master and Mastering Digital Project Management. Finally, consider your future career – if you’re in an agency and not considering ever going client-side, or working with large enterprise clients, I probably wouldn’t recommend the PMP. Something more general like PRINCE2 Practitioner or Certified Project Director would probably be more helpful. Similarly, if you’re trying to get into more software development or product development roles, consider the agile Professional Scrum Master qualifications. The table below provides an easy comparison of the different project management certifications options looking at duration, price and difficulty of obtaining the certification. Nice overview. To become really complete IPMA needs to be added. Please check http://www.ipma.world/certification/.